OZZO Photography is recognised as one of the leading professionals in aerial "drone" photography. We operate across the country and have worked on various large scale projects such asTV documentaries, movies & music videos. We offer unique and dynamic content for residential agents, corporate clients, sports and online viral videos. Our MAtrice 600 aerial platform is designed to support payloads of up to 7kg and can carry industry leading brushless gimbal systems with full 360 rotation capabilities. Utilising our video downlink system the pilot, camera operator and director all have their own monitors on the ground to view the footage from the drone in real time which ensures exact shot framing. We fly a range of sensors from the Sony a7sii to the Red Weapon 8K helium, with a variety of lens combinations. Matrice 600 / Red Dragon 6K setup. / Flight time up to 16 minutes per charge. up to 3200 feet live stream range... Dual pilot operation. 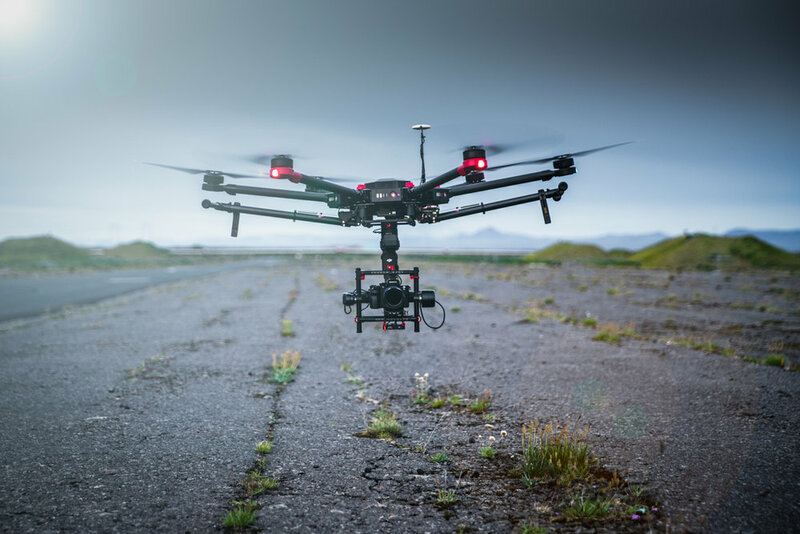 Our team of highly skilled pilots and experienced cinematographers are constantly pushing the boundaries of what is possible when using drone technology. Our goal on every project is to capture dynamic content to add great production value. with over 300 Hours of commercial flights and over 1500 flights. Matrice 600 combined with Sony A7sII / Zeiss Loxia 21mm 2.8 up to 25 minutes flight..
We offer multiple Camera platforms such as Sony A7s / a7r / combined with Zeiss Loxia prime lens set from 16 - 50 mm range.